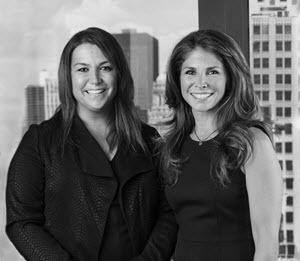 We are proud to be featured by Chicago Agent Magazine in their Who’s Who 2014 section. The article can be read in its entirety on the magazine’s website. If you’re talking left-brain and right-brain, you might as well be talking about Joey Gault and Beth Wexler. This driven realty duo uses their respective backgrounds – Gault in finance and Wexler in advertising – to offer the best and most complete advice and service to their clients. Wexler and Gault, in the business for 24 and 13 years, respectively, began their careers servicing Chicago neighborhoods such as Lincoln Park, Lakeview and Bucktown, but eventually increased their presence in the North Shore when they decided to move their families there. They often sell homes in the city and bring those buyers to the North Shore. The team has sold more than $400 million, were recognized as the top-producing team in their office for 2014 and have been in the top 1 percent of Chicago Realtors for the last 20 years.